I set out today to write a completely different post but instead found myself thinking about colour and how it makes us feel. The weather may have been a contributing factor as it’s been decidedly miserable. Oh, and I got to wear my new Barbour raincoat (a birthday present from the OH). Its bright yellow and apart from keeping me dry, it actually cheered me up. Yellow has a way of making us feel that little bit better don’t you think? And because we all need a little sunshine in our lives, today’s all about the YELLOW and how you can use it in your homes. Yellow is a primary colour (a colour that cannot be made by mixing other colours together). 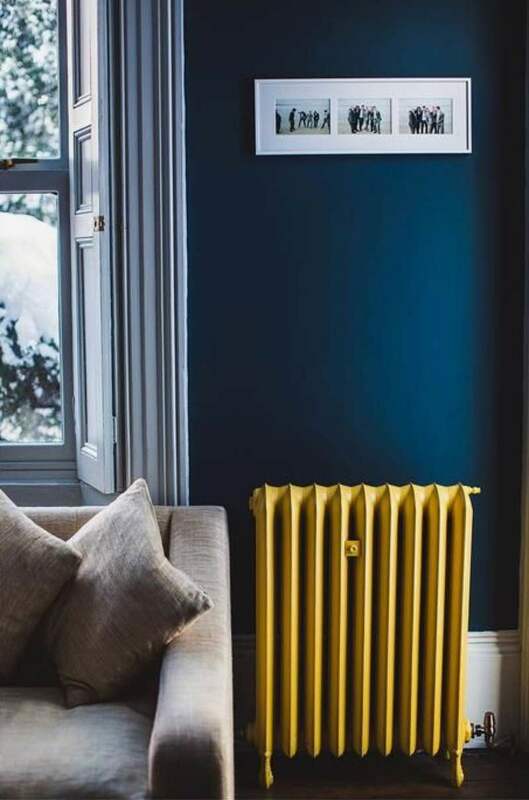 It’s a bold, but warming colour to introduce to your homes. Colour can be a scary entity for a lot of us, but adding colour to our homes can create a much happier place to live. I’ve put together some inspiration on different ways to use this vibrant and happy sunshine colour in your homes. 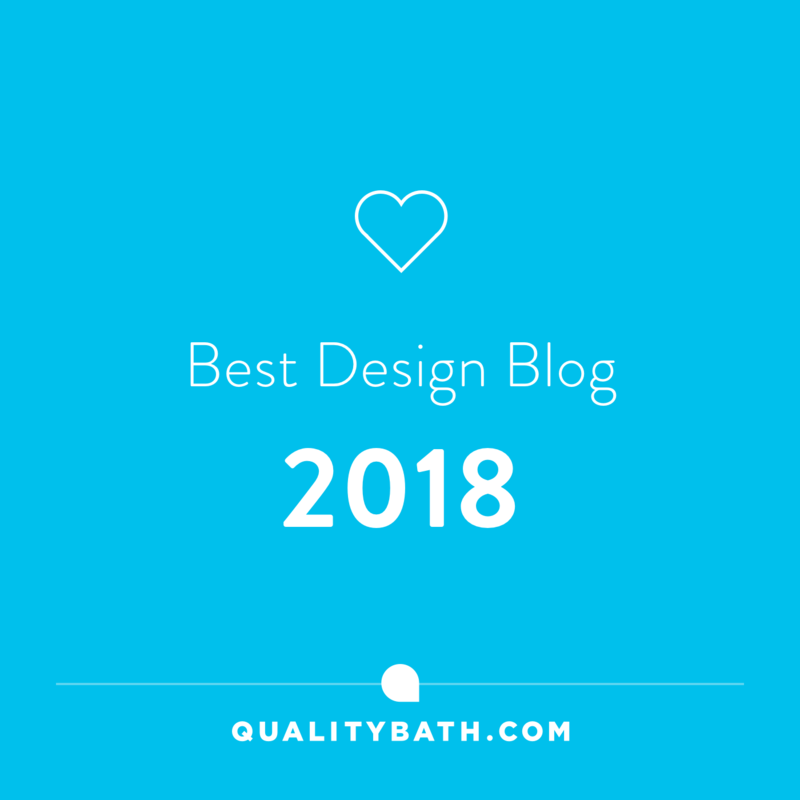 If you love yellow, and my daughter adores it, (you can check out her bedroom redesign here) then there are ways of using it without having to put on the sunglasses when entering a room. The best way to introduce yellow to your homes is to use it as an accent colour. 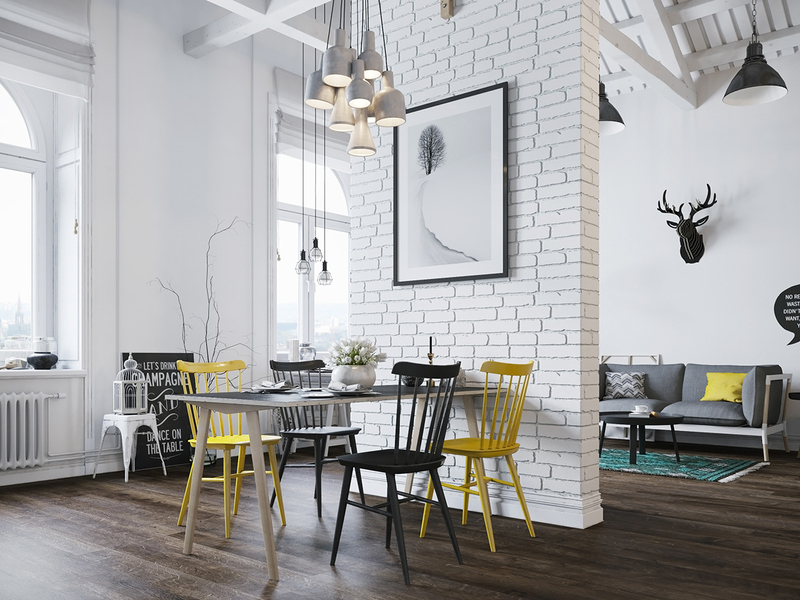 Small accents of yellow inject life, warmth as well adds interest, especially to a neutral living space like the one above. 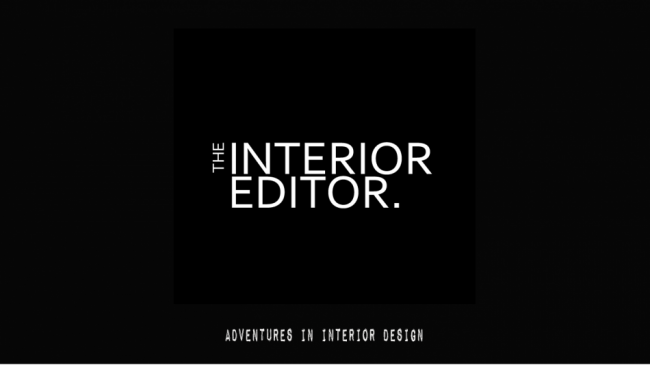 TIP: It’s important to create rhythm and flow when using an accent colour. You should use it in different areas of your room to encourage your eye to move around the room. An accent colour should NEVER dominate a room it is used purely to provide depth to an overall colour scheme. I love the unexpected, don’t you? 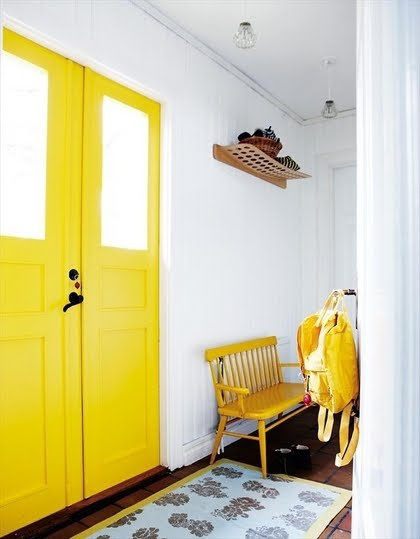 Adding a small injection of yellow in unexpected areas such as inside door frames for that pop of colour can update the look to your spaces as well creating interest and a fun element to them. Or if you’re really struggling to be brave why not paint inside of a cupboard door. 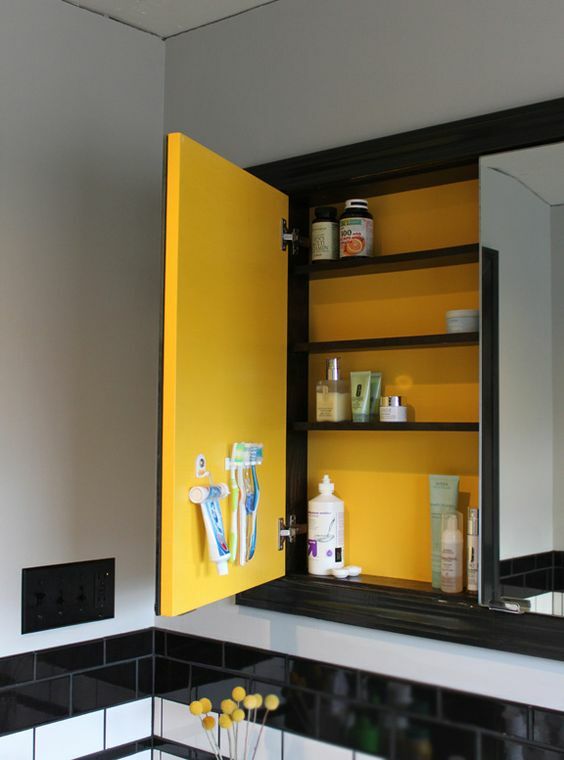 What would be lovelier to cheer you up in the morning than a little bit of sunshine yellow whilst brushing your teeth? 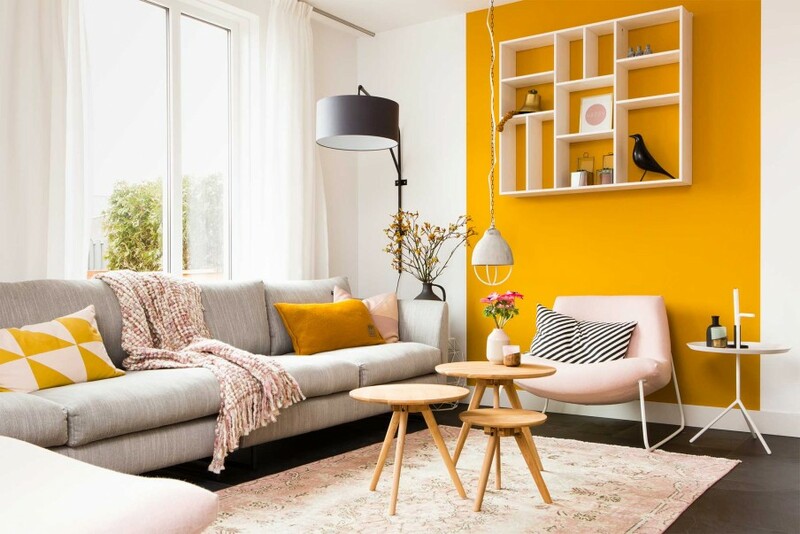 Introducing yellow below the eye line will make it feel less intimidating, and if you opt for a piece of vibrant yellow furniture it can be moved around a room to emphasise or contrast parts of your room. 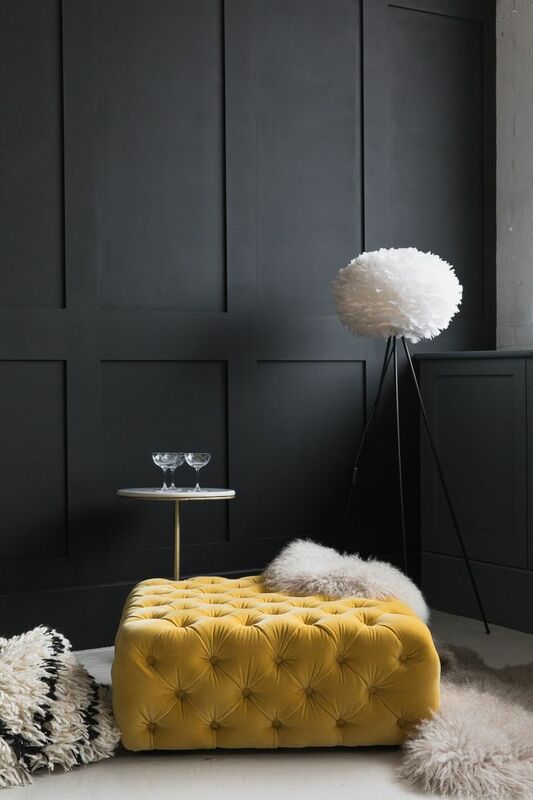 Rose and Greys new Polly Pouffe in Velvet caught my eye on Instagram the other day and would be a perfect piece to add some sunshine with its rich luxurious velvety texture. This pouffe had me seriously considering a redesign, but then my daughter would probably nab it for her room, and I couldn’t have that! If you’re not sure where to start with using yellow but still want to add some impact to say a neutral space try paler shades of yellow. They’re not only easier to use they are easier on the eye than the rich buttery tones of yellow. 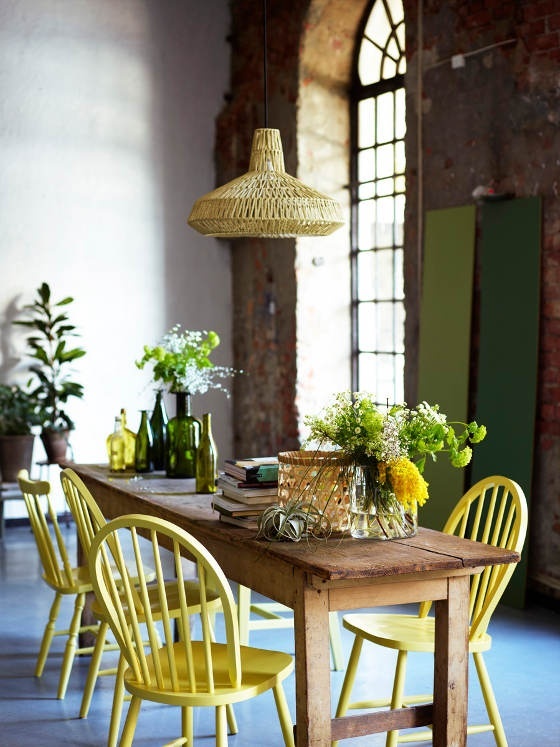 Yellow paired with natures greenery, and a rustic wooden table and you’re on to a refined relaxed dining experience. Yellow is a cheerful colour to be around and what better place to use it than around the dining table for social gatherings. It’s uplifting and invokes a hospitable feel to social areas such as kitchen/dining spaces. Here a soft primrose yellow has been mixed with pale pink to create a soft feminine feel to this pretty bathroom. Using a tint of yellow (yellow lightened with white) ensures a softer look. Yellow has a tendency to stand out in neutral spaces, adding warmth and interest. 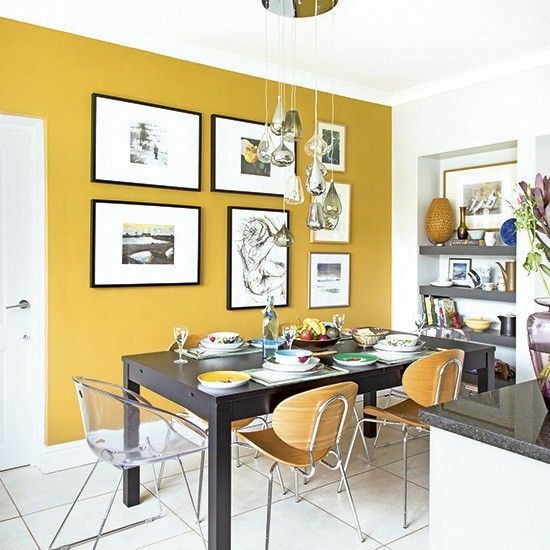 Using pops of yellow helps lift and injects some focus and vivacity into monochromatic spaces. You’ve only to look to nature for inspiration when it comes to colour, especially as the majority of flowers are indeed yellow. The daisy is typical of how white and yellow can create a fresh bright look to our spaces. 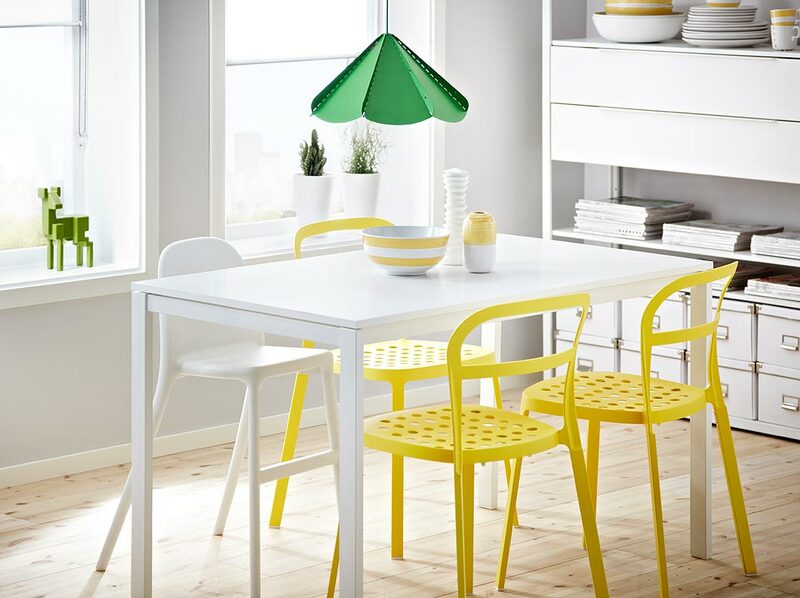 A clean and fresh kitchen space by Ikea epitomises how fresh and clean a white and yellow combination works. Another way to introduce yellow is by using pattern. These encaustic tiles add interest, colour and a decorative element. 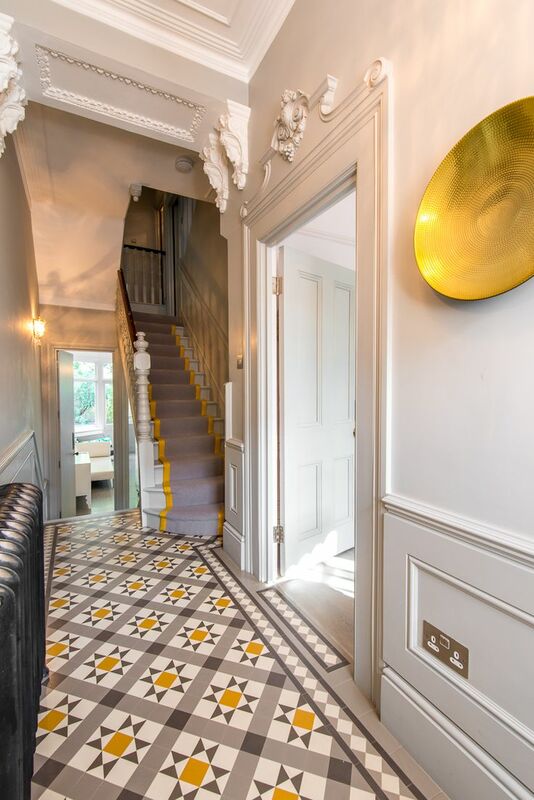 Hallways are a great place to add some yellow to, as it’s a welcoming colour. 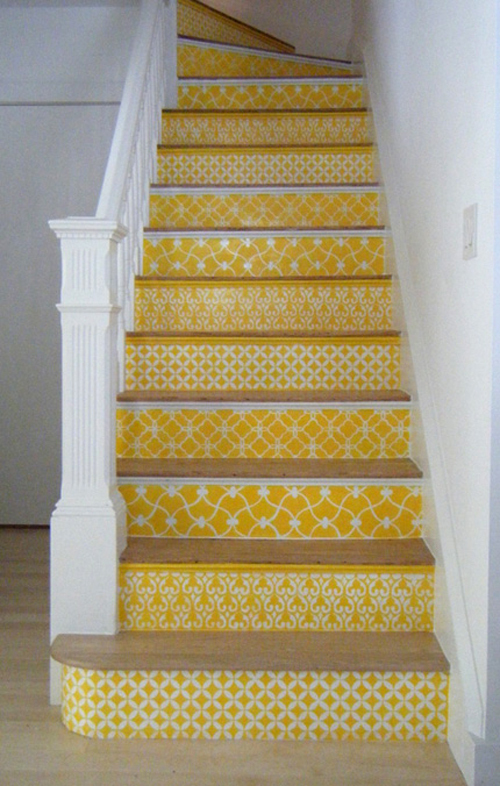 I love these stair risers which were hand stencilled using Moroccan stencils on each riser by Carol Leonesio of Paint It. Yellow and black carries a much more sophisticated look and was a common combination in Modernist interiors. For me, the yellow actually makes for a more inviting space. I know where I’d be sitting in this room. TIP: If your room lacks natural light, in particular, north facing, you can fool the eye into feeling warmer and more inviting by using yellow. Don’t use bright yellow or you’ll make it feel and look sickly. Instead, use a soft yellow which will visually warm the space. Colour psychology suggests that yellow sharpens our memories, whilst evoking creativity and positivity. 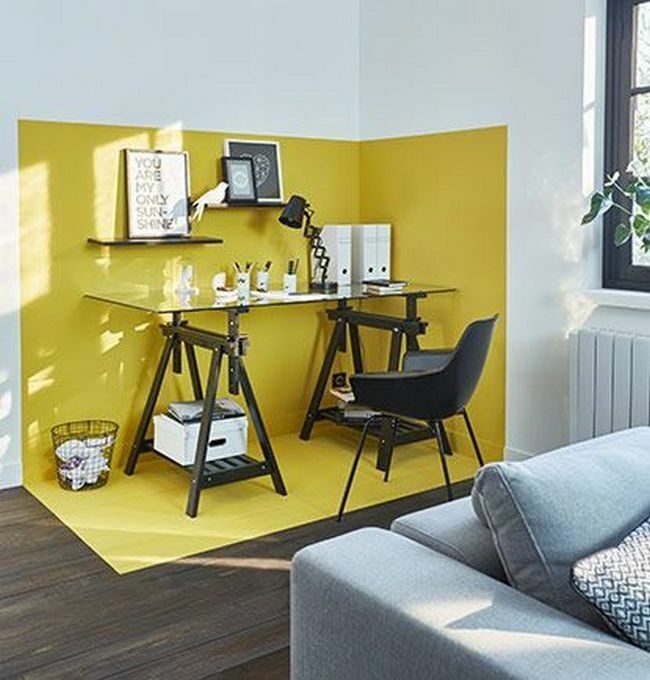 I love this colour blocking in an open plan space to create a home office work zone. Step inside the box and you’re at work! 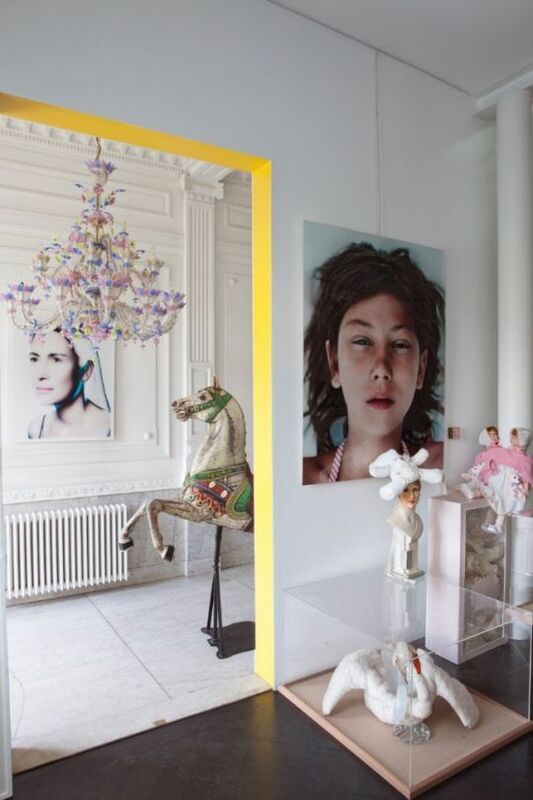 Highlighting an area within your room to create a focal point using yellow. Just remember to add other elements of the same colour to tie in your chosen shade and create a cohesive colour scheme. 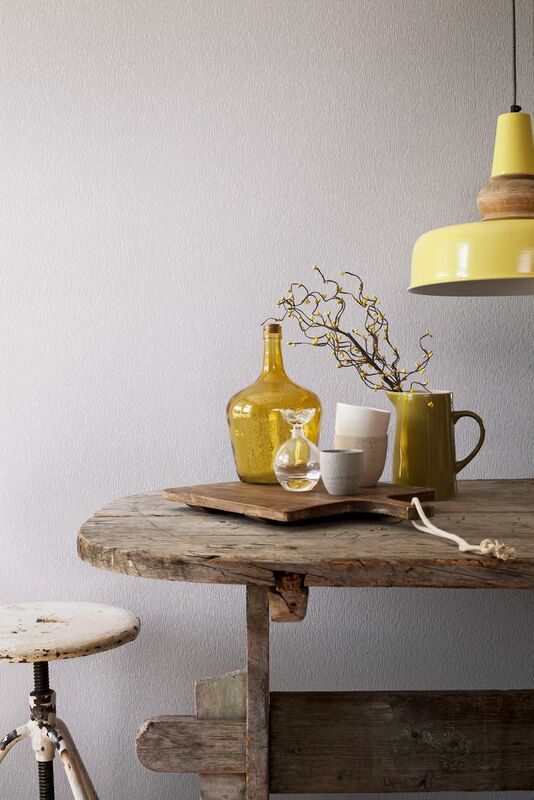 Using a warmer yellow is easier on the eye, and works well with natural textures such as wood and rattan. TIP: Yellow is a warming colour and visually advances towards us. Using yellow on a shorter wall within a room long thin room can help square it up and visually make the room feel, and look more in proportion. Colour schemes composed of primary colours such as yellow and blue can create a bold uncomplicated look and feel to a room. I love the drama created by using darker shades of both primary colours. Strong coloured floors can make a big impact on how your rooms look. The more there is of it, the greater the effect it will have. Although, using it on the floor, isn’t as overwhelming as it would be using yellow on the walls. Again, the reason behind this is because it is below eye level. TIP: If you do decide to paint your floors in a bolder colour, it will always look lighter than the same colour being used on the walls. So use testers directly onto the floor before deciding which shade to go for. 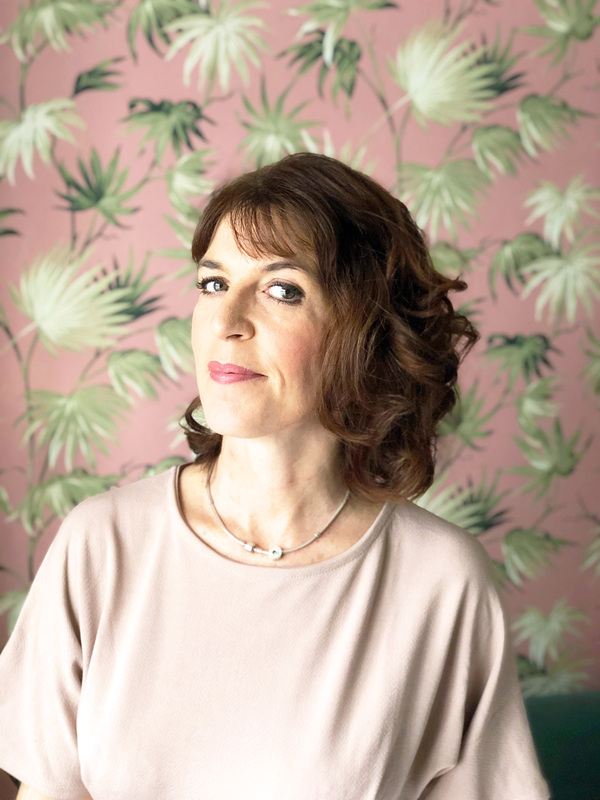 You might want to bear in mind that light reflected on to painted floors of a bold colour will reflect a certain amount of the colour onto your walls/furnishings as it does in the living space above. My advice to you is if you LOVE colour, then don’t be afraid to use it! If it’s going to make you happy then there’s really nothing stopping you from using it in your homes. Until next time, thank you as always for stopping by today!